Our foundation is comprised of integrity and innovations. Scout pioneered the first reverse-shoebox hull/deck design, which increases overall hull strength and prevents water from penetrating through the hull/deck joint in rough conditions. The eradication of all wood in the manufacturing process is also a Scout trademark, as it produces rot-free composite stringers and transoms. 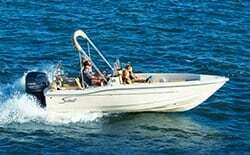 Scout Boats are the highest performing and most fuel efficient boats on the water. Period. 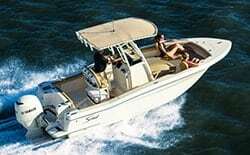 Their gas-saving hulls (like the NuV3 and Air Assist hulls) are coupled with state-of-the-art outboard engine advancements. 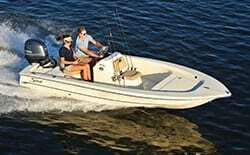 These ultra-efficient designs allow them to create the most technologically-advanced models that offer the best strength-to-weight ratio of any boat in its class. 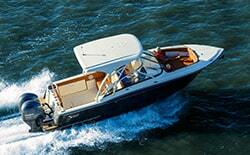 And all Scouts offer piece of mind with 10 year limited hull and 3 year limited stem-to-stern warranties. 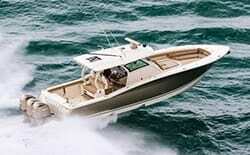 We continually design and produce the highest performing and most fuel efficient boats on the water. Period. 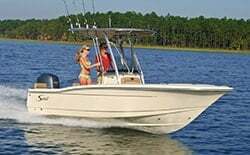 Our extremely efficient hulls (NuV3, Air Assist & Scout Stepped Hull Technology), coupled with state-of-the-art outboard engine advancements, have been repeatedly tested and proven to save you as much as double-digit percentages when it comes to fuel efficiency. This equates to big savings at the fuel dock. Furthermore, our ultra-efficient designs allow us to create the most technologically-advanced models that offer the best strength-to-weight ratio of any boats in their class. NuV3 hull design: ‘Convex’ design comprised of variable degree angles in the hull, offering immense fuel efficiency and the softest, driest ride in its class…all while maximizing performance. Air Assist hull design: Creates static stability; adds additional longitudinal buoyancy which enhances static floatation; decreases time to plane; and vastly improves overall handling characteristics with the added benefit of increased fuel economy. Scout Stepped Hull Technology: Reduces the hull’s wetted surface, creating a faster, dryer and better performing boat requiring less horsepower and increased fuel savings. The “Scout Strata-Mount” is an advanced engine mounting system on select models. It’s comprised of a factory-molded bracket which allows for the two main longitudinal grid stringers to pass through the transom and be directly integrated into the engine mount. This allows for the natural stresses of the engine to be spread out over the entire hull, increasing strength, durability and performance. Scout has been first to market with its revolutionary T-top/glass enclosure, which was awarded a U.S. Design Patent. Scout redesigned the old style T-top/glass enclosure for a cleaner, more modern look, as well as incorporated tempered glass. The result is a more stylish, more user-friendly design that increases visibility, which in turn is also safer. 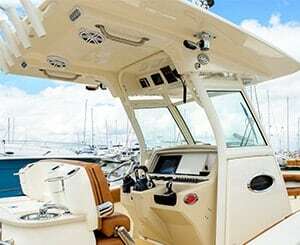 From seamless helm touch screens to hand-held key fobs, our engineering team has embarked on a mission to modernize the boating experience for our customers. 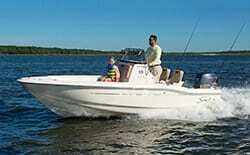 Bring the boat alive with the push of a button. Control systems with the touch of a finger. It’s all about creating the much needed shift from analog to digital in the marine industry, and we are leading the charge. Another Scout first. With the touch of a button, you can electronically raise or lower the hardtop mounted rocket launchers. 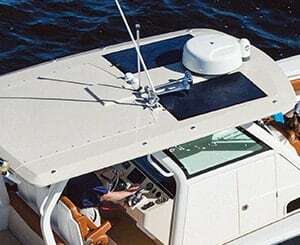 When the Sure Shade retractable awning is engaged, the rocket launchers will also engage electronically Having the rocket launchers articulate not only provides an added unique feature to the boat, but also helps with ease of loading/unloading rods. First of its kind. 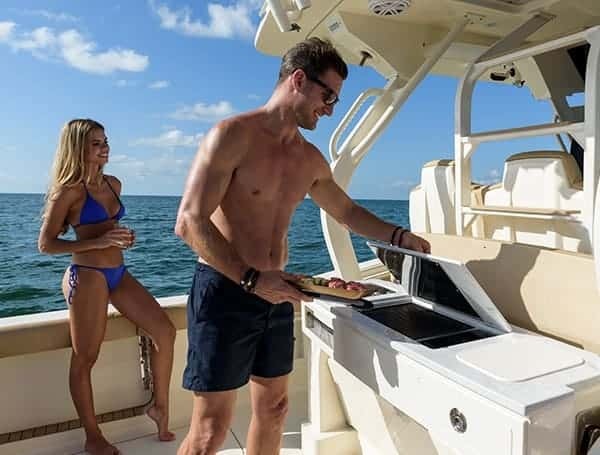 Push a button and the aft-facing mezzanine seat and foot rest fold up to reveal an entertainment/bait prep station complete with hidden sink, cutting board, grill, tackle drawer and storage. 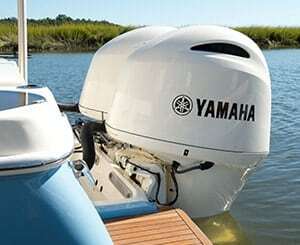 Incredible space-saving, unique design that completely transforms the utility of your boat in mere seconds. We’ve integrated a forward-facing bow camera on select LXF models that allows you to view what’s going on right in front of your bow, including engaging/disengaging the anchor, docking, nearby swimmers, or any action taking place. You can easily view the camera from the touch screens at the helm. 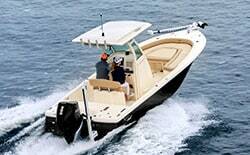 This feature adds a whole new safety aspect to your on-the-water experience. Enjoy your heated seats in your car, truck or SUV? Now you can enjoy this feature on select LXF models as well. This comfort feature is ideal in colder climates, however can also be utilized to keep your back warm and agile. The helm seats have independent controls, therefore if you don’t wish to enjoy this feature but the Mrs. does, she can with ease. You’ll thank us later. With all the electronics now available on your Scout, we wanted to help save and extend your battery life. We’ve done this with integrated solar panels on the hardtop that provide a trickle charge down to AGM batteries in select LXF models. This is particularly helpful (and standard) if you have the Seakeeper 3 gyro installed on your model. Out on the water and receive a text? Instead of pulling out your phone and being distracted from the task at hand, now you can safely stow your phone but not miss a thing. We’ve partnered with Garmin to provide an innovative text-notification feature right on your helm screens on select models. The text notification innovation does not allow a boater to respond to the text, but rather only see the notification. 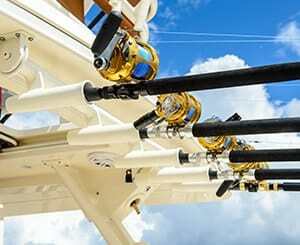 This provides a safer boating experience by eliminating distractions out on the water. Now you can safely keep up to speed, while at speed. This feature works with both Apple and Android applications. Click below to build your dream Scout model. 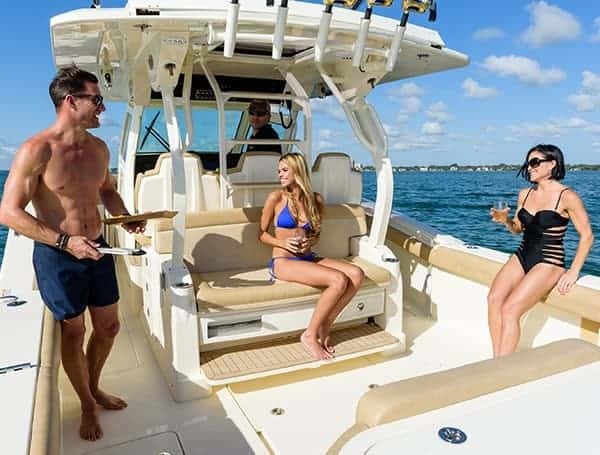 Scout Boats' goal is to permit customers to successfully gather information and conduct business through our website, including individuals with visual impairments that use screen readers to view the website. 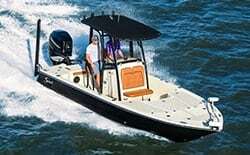 Scout Boats has taken steps and is devoting resources to promote website accessibility. 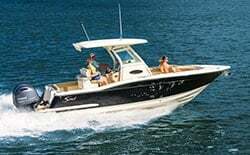 If you have difficulty accessing features or functions on this website, email us at info@scoutboats.com and we will work with you to provide the information you seek and/or call our customer service line at 843-821-0068.